Today I was excited to finally stand in the shadows and in awe of some giant California Redwoods! This particular grove of trees are found within the Redwood National Forest located on California’s northern coast. This forest, designated a World Heritage Site and an International Biosphere Reserve, is home to the tallest trees on planet Earth. 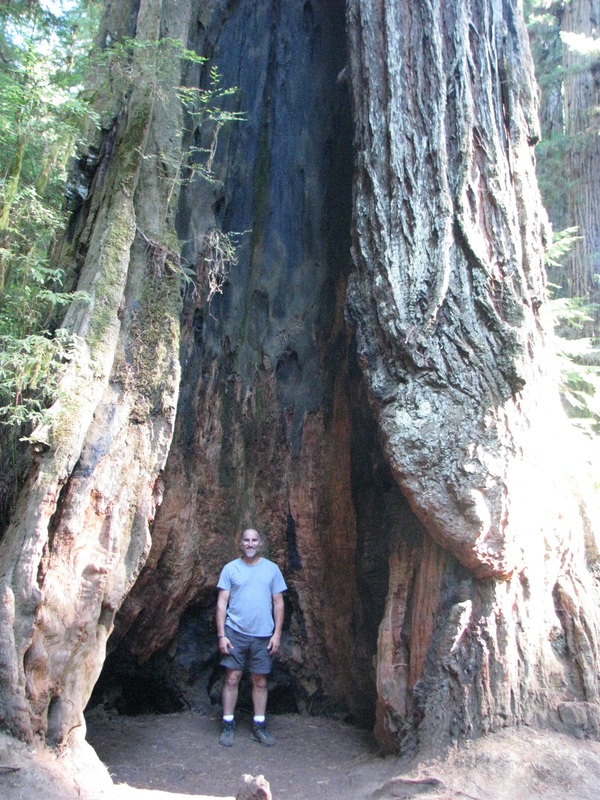 The tallest of these Coast Redwoods are close to 380 feet tall and over 2,000 years old! You’ve seen this forest if you watched the two latest Planet of the Apes movies as well as the classic Star Wars film, Return of the Jedi, where this Redwood forest emulated the Ewok’s planet of Endor. But to be standing here in person, looking up, barely able to see the tops of these majestic giants, reminds me how small and insignificant man is compared to the history of this planet and the power of nature. Exiting the park, in an open field, I happened upon a herd of Roosevelt Elk. I hope you have a chance to stand beneath the Redwoods and be humbled.